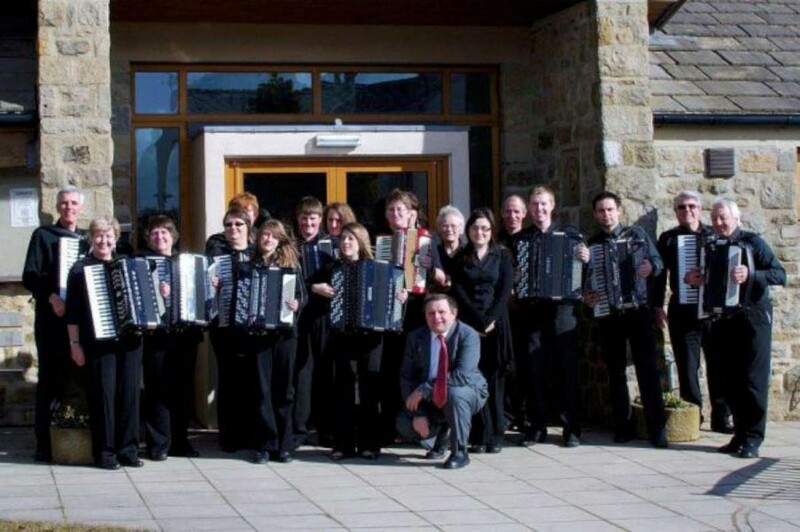 The Craven Accordion Orchestra has the pleasure announcing the release of their latest CD. This is the third CD to be produced by the CAO and marks 25 years of the orchestra starting as a social group to achieving first place at UK Championships. A cocktail of musical delights feature on the CD such as Music by John Miles, Liberty Bell and Florentina March, film music from Magnificent 7 and Titanic, traditional waltz’s, tango’s a real mixture for all. The title of the new release is called Music and the CAO had the pleasure to be guided by guest Musical Director Mr Bob Nevin throughout the recording session. Bob began playing Brass from a young age and continued his development which saw him playing in several Brass Bands until he joined the Army as a musician in 1982. Between 1982-1983 he was at the Kings Division School of Music and went on to 1st Battalion Queen’s Lancashire Regiment as Euphonium and Fanfare trumpeter from 1983-1984. At the Royal Military School of Music (Kneller Hall) he was Principal Euphonium and Queen’s Fanfare Trumpeter (Golden Eight) where he gained a Cousen’s memorial parchment, which was the Kneller Hall performance diploma. From 1985 to 1990, whilst in the 1st Battalion Queen’s Regiment, he was Principal Euphonium. While serving abroad Bob has guested as tenor tuba player with several European Symphony Orchestras. He has also been a member of the Regimental Band of the Yorkshire Volunteers, and played with several Championship Bands. He currently helps out, arranges and conducts for local bands. The Craven Accordion Orchestra is holding an open doors event on Tuesday 5th July at St Thomas Hall Sutton in Craven starting 7:45 pm. This is an opportunity to see the Craven Accordion Orchestra in the hands of Bob playing tracks from the new CD and ongoing preparation with new material. To facilitate many accordionists in the community the CAO is presenting a session of accordion activities starting on Tuesday 26th July for six weeks at St Thomas hall Sutton in Craven. These sessions are an invitation to all ages and abilities with a desire to participate on the accordion. Details can be obtained at the CD release evening or by contacting Harry Hinhcliffe.